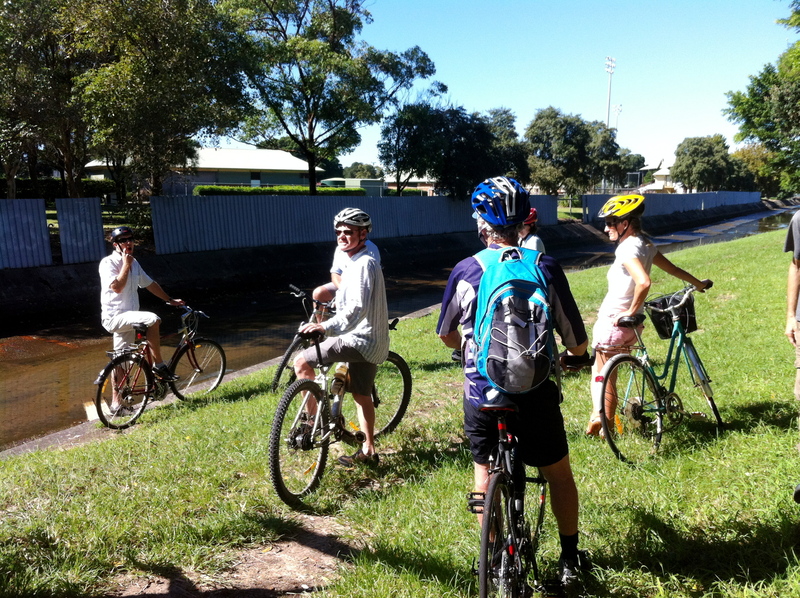 Yesterday, on a glorious day sandwiched between the rain we have become accustomed to this past summer, nineteen people, and one dog, converged on Marketown with our bikes and Steven Fleming of Cycle Space took us on a guided tour of Newcastle’s inner city canals. 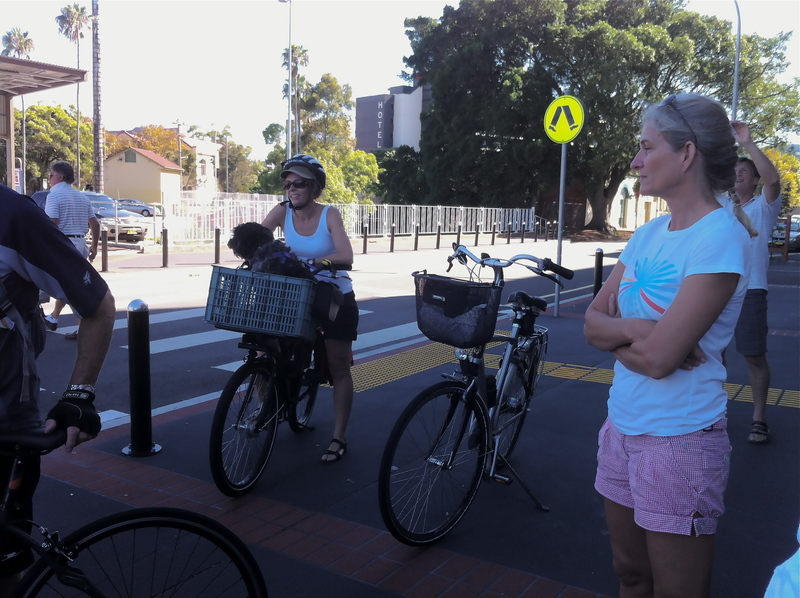 The ride was interspersed with short breaks where Steven outlined his ideas about how this route can become the loop linking the bike paths of Newcastle, with bicycle oriented developments built in strategic locations to complement the entire loop. Guest speakers of note on the ride talked of other projects: Fernleigh and how it was implemented, how the lobbying for the Hannell St crossing achieved a safer solution for this black spot on Route 6, how the drains/canals could be used and how they are not as dangerous as some think they are (and we speculated as to how a bike path would be placed on these shortcuts, and if they can be used, they will revolutionise the speed potential of bike travel through the city). 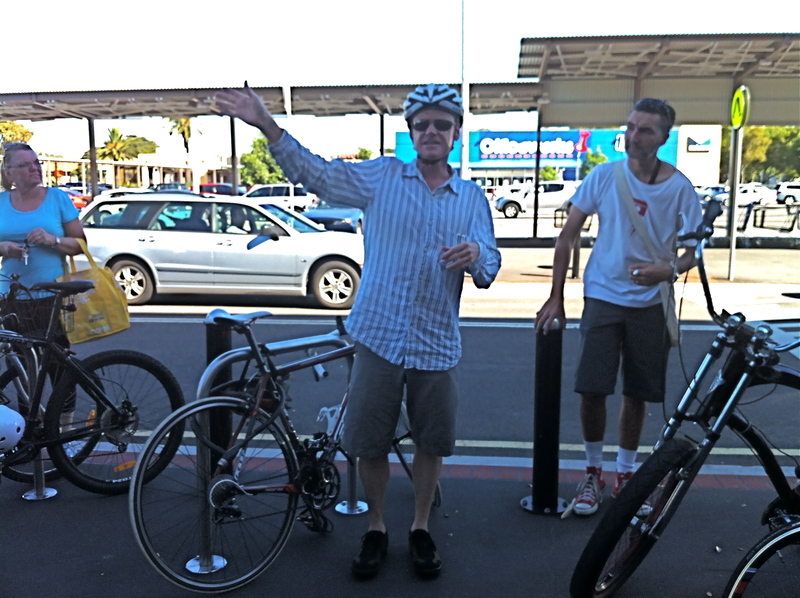 Steven’s vision is that, even if we cannot convince our city or industry leaders that this will provide an innovative and creative construct for bicycle transport in this city, we can all start using it as a de facto track now, a not unattractive idea …. He also floated the idea that funds statutorily required to be contributed by developers towards infrastructure development could be directed towards this concept. On the ride were many who have previously influenced local government and who are involved in development of our city centre. Reflecting the diversity of the group, every conceivable type of bike was there: trendy single speeds, mountain bikes, Dutch bikes, road bikes, a folder, a cruiser type bike that looked like a bicycle version of a chopper motorcycle, vintage ladies bikes, a Velorbis, a touring bike, a Gazelle, every type of bike you could think of, in fact. For more coverage of this event, look here. For the blogs of other bloggers who participated, see here and here. The success of this event is truly a tribute to the power of word-of-blog. 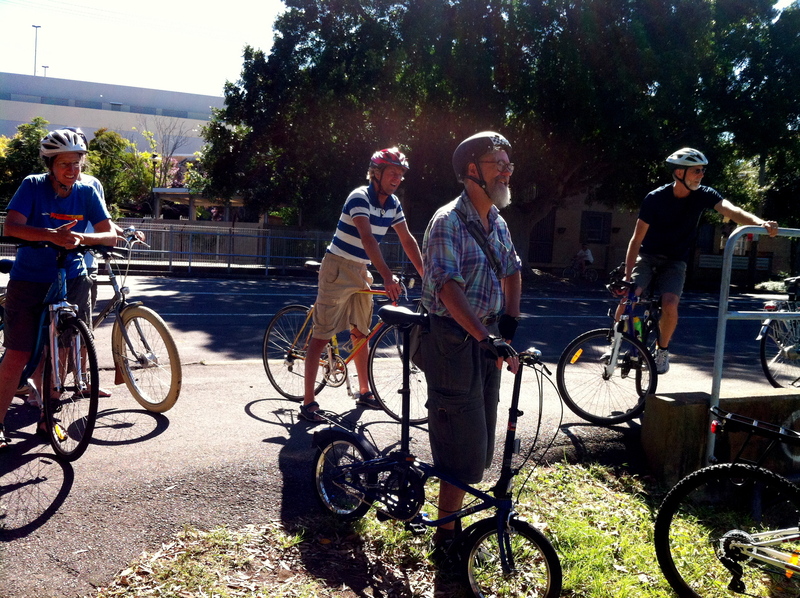 This entry was posted in Bicycle blogs, bicycle culture, Bike tracks and tagged bike commuting, Bike tracks, Cargo bikes, cycle chic, cycleways, infrastructure, newcastle, newcastle bike tracks, quirky bike. Bookmark the permalink. 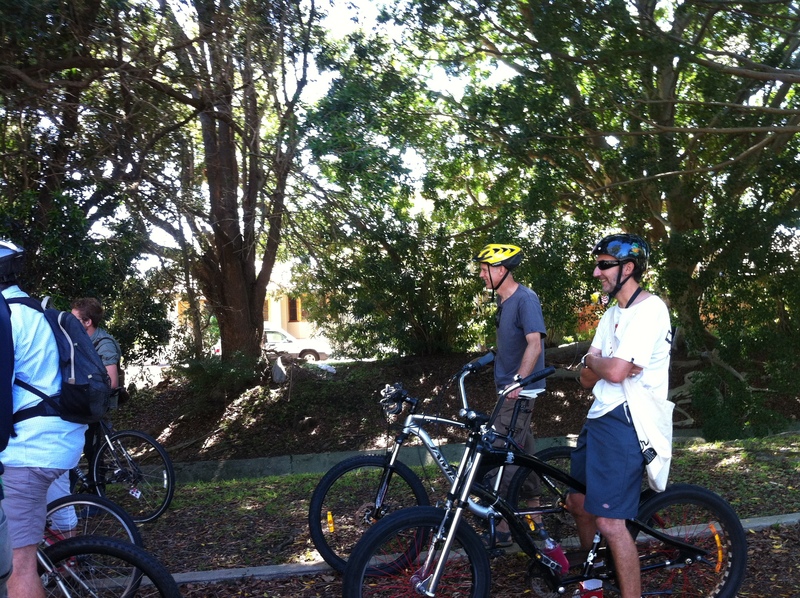 Thanks Jess, it was a great ride, a pity you missed it too, though the numbers were as high as he wanted, I think. On a slightly related note, the council is advertising a position of “Infrastructure Project Officer – Bike Audit” http://www.seek.com.au/job/21844138?cid=advtweet it will be interesting to see what comes out of the position. That WILL be interesting! Great to see that the council is taking such a positive step and that the job specifies the applicants must love bikes! 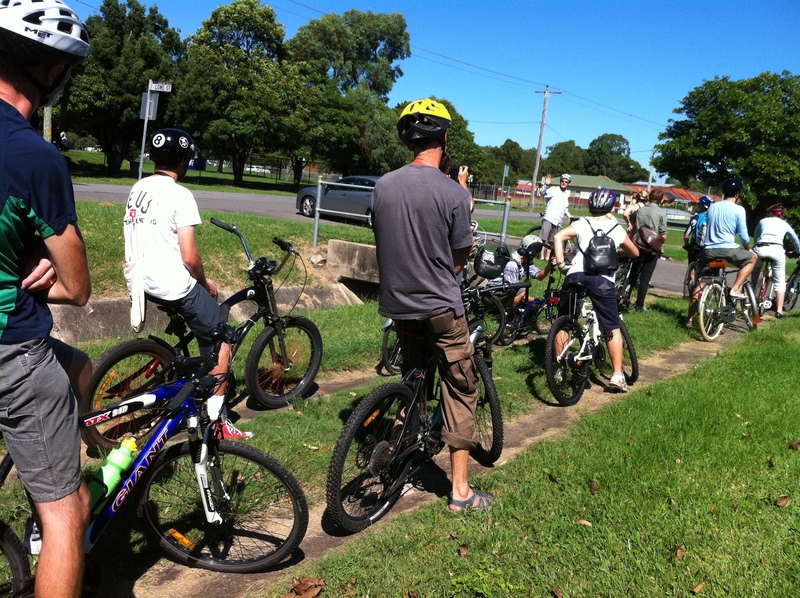 Sounds good, were there any members from our wonderful council, rta or state members along for the ride and hear the ideas for bicycle paths? No there weren’t, but see the comment above, some positive changes are afoot! Hi Vicki, I’m not sure how I stumbled upon this blog post of yours. It seems like such a long time ago, though it wasn’t. Anyway, thanks for reminding me of a lovely day. I’m still up to my old tricks, now mapping development sites against old rights of way in many cities. The idea seems to work for any place that used to have rail and river freight handling. Anyway, thanks for recording the day. We did have some great speakers too! Thanks for commenting Steven. 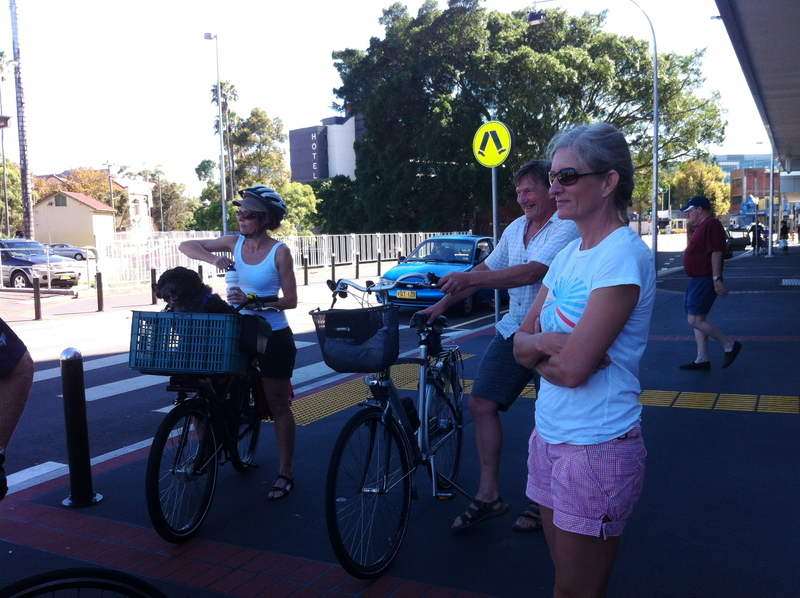 It was a great day and it was a time when many minds could have input into a vision for bike infrastructure in Newcastle. We are reaping the rewards now.